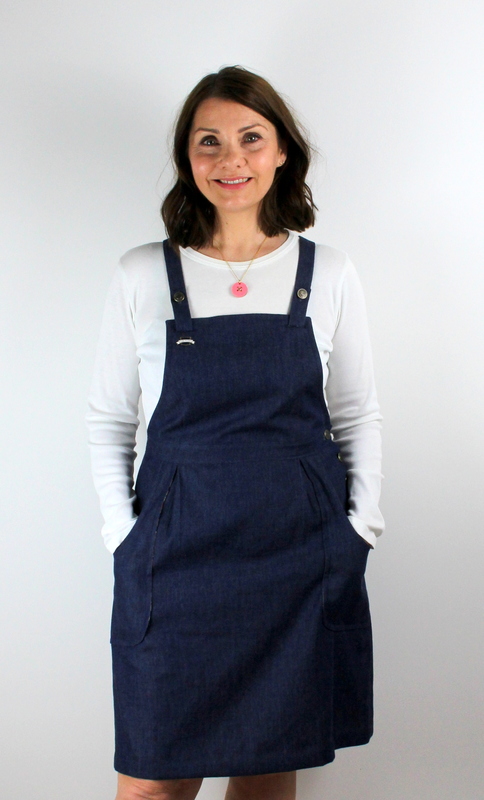 As you may know, each month I write a blog post on the Minerva Crafts Blogger Network and this month I am talking about the Jennifer Lauren Handmade Pippi Pinafore. Ever since this pattern was released I have been eyeing it up (along with other patterns by this clever designer), there are lots of versions to see over on Instagram, and they’re all amazing. 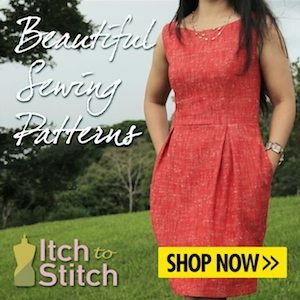 I love the criss-cross strap feature at the back of the dress, and also cute details such as the button placket, skirt pleats and pockets. I won’t go into detail, as this is a post that I have written for the Blogger Network, and you can read my full review here. But I would like to give a big thumbs up to the lovely navy blue chambray that was sent to me by Minerva Crafts in exchange for my review. It’s my favourite shade of blue and the quality is really lovely. Thank you for dropping by today, and I’ll see you over at the Blogger Network!